Who: I’m wearing my 11 month old son, Henry. Where: We’re in Dallas, TX on vacation visiting family. What: I’m wearing Henry in a Didymos Tobi WRCS. 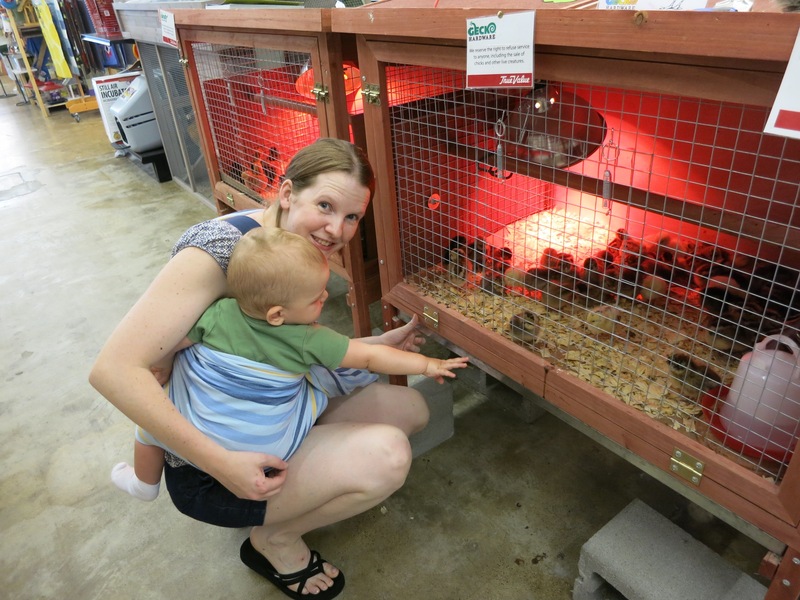 We were out getting some groceries, and we decided to stop in to the local hardware shop to visit the baby chicks. Didn’t you know they sell baby chicks in hardware stores in Texas? Why: I am an equal opportunity stroller and baby carrier user. This was a perfect occasion for using a ring sling, because shopping without a stroller is simple and quick.